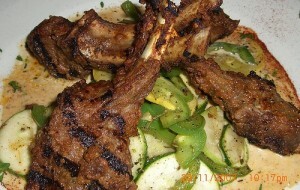 Fried Mutton Chops recipe by Asma at DesiRecipes.com. Mix all the ingredients in the yogurt. Now merinate the chops in this mixture for at least 5 to 6 hours. After this cook them untill it tenders. Now fry them in deep Pan. Serve hot with dahi and Imli chutney. cook them in what?! pot, oven, slow cooker, crock pot? ?